Home→Book Deals→Hot Gifts for the Coolest People in Your Life! 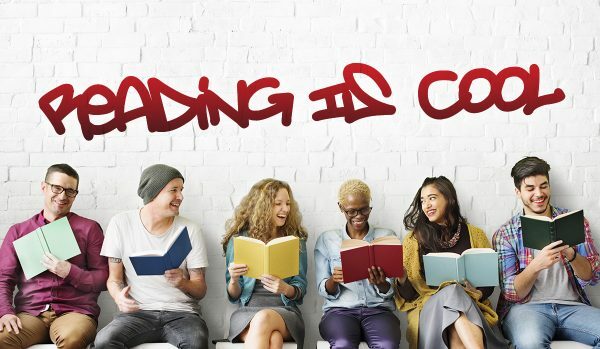 ← Reading Is Cool! 40% off all 3RP books! The holidays are upon us again, and what could be a better gift than cuddling up with a cup of hot chocolate, a good story, and a snowy day? Well, we at Three Rooms Press can help with that (. . . one of those things, anyway)! We have the perfect winter reads for every bookworm in your life, all in one handy holiday gift guide. Check it out, and keep the holidays lit[erary]! Exile on Bridge Street—In the sequel to Light of the Diddicoy, young Irish immigrant Liam Garrity struggles to bring his mother and sisters to the promised land of WWI-era New York, even as he is swept up in the gangland turf wars over control of the Brooklyn waterfronts. Last Boat to Yokohama—An in-depth look at the life and legacy of Beate Sirota Gordon, the “only woman in the room” at the 1946 creation of Japan’s new constitution, and a cultural ambassador, who brought authentic Asian music, dance and theatrical performers to the United States—often for the first time ever—thus bridging East and West through art. Bad: The Autobiography of James Carr—The harrowingly brutal and unapologetic story of the notorious African-American career criminal who went straight out of Compton to a reformatory after burning down his school at the age of 9. Originally released in 1972, BAD remains a harsh indictment of the American penal system and a primer for the seeds of institutionalized racism in this country. Crime Plus Music—Twenty darkly intense, music-related noir stories by world-renowned mystery authors, including Brendan DuBois, Alison Gaylin, Craig Johnson, David Liss, Val McDermid, Gary Phillips, Peter Robinson, and more. Dark City Lights—The fourth installment in the Have a NYC series features twenty-three thrilling, hilarious and poignant short stories—all based in New York City—written by new and acclaimed fiction masters, including Robert Silverberg, Ed Park, Jim Fusilli, Parnell Hall, S. J. Rozan, Brian Koppelman, Elaine Kagan, and more. Champagne & Cocaine—New York City, 1980s. Late-night discos, call girls, hits of cocaine, and winner-take-all poker bouts with the mob. The perfect backdrop for a murder. Still Night in L.A.— Michael Shepard, a detective with his own set of problems, finds himself embroiled in a murder investigation that may shed light on a nearly forgotten tragedy. Author Aram Saroyan harnesses the hardboiled styles of Chandler, Hammett, and Ross MacDonald into a contemporary tale of the modern-day beautiful and damned. This Way to the End Times: Classic Tales of the Apocalypse—Twenty-one gripping stories about the not-too-distant demise of the earth as we know it, by science fiction’s most beloved writers, including Jules Verne, Ursula K. LeGuin, Jack Vance, and Robert Silverberg. Hello Devilfish!—A Manglish-spiced, first-person (or first-fish) account of a giant blue Japanese movie monster (kaiju) stingray’s attack on contemporary Tokyo and his tragic morph into human form. Songs of My Selfie (fiction): Millennials come together to support other stressed and scared twenty-somethings in this riveting collection of short stories all by authors 26 and under. Swing State—In this fiercely intelligent “new adult” novel, author Michael Fournier lays bare the dim dreams and raw existence of the lives of three seemingly disparate residents of a small town in New Hampshire. Out-of-work Afghanistan vet Roy Eggleton, overweight, friendless teen Zachariah Tietz, and fireworks freak, bully, and petty thief Dixon Dove all share the same goal: get out. Maintenant 10—Internationally acclaimed Dada journal Maintenant turned 10 this year! Contemporary and classic writers and artists pay tribute to 100 years of Dada in this gorgeous, full-color art book. A must-have for the artists and rebellious souls in your life! My Old Lady: Complete Stage Play and Screenplay with an Essay on Adaptation— Famed playwright Israel Horovitz shares tips and techniques on adapting plays for the screen. The book includes the full script of both the play version and screenplay of My Old Lady, along with an in-depth analysis by Horovitz of the challenges of adapting stage work for the screen. Full Moon Stages: Personal Notes from Fifty Years of The Living Theatre—As cofounder of the internationally-known, highly-controversial radical political troupe, The Living Theater, author Judith Malina is one of the leading female countercultural figures of the 50s, 60s, 70s and beyond. In Full Moon Stages, she creates an intimate memoir in a unique format with a collection of personal notes written on every full moon for 50 years from 1964 to 2014. Malanga Chasing Vallejo—82 of César Vallejo’s poems in a bilingual edition, translated by Gerard Malanga. The book also includes a poem about Vallejo by Malanga, rare photos of Vallejo, and transcriptions of several never-before-published letters to Malanga from Vallejo’s widow, Georgette de Vallejo, which guided his translation efforts. On Earth and In Hell—The first English translation of the earliest poetry collection of brilliant and disruptive Austrian writer Thomas Bernhard, widely considered one of the most innovative and original authors of the twentieth century.